Well done to the senior footballers on a good win over Baileborough College. It was a great team performance considering the poor underfoot conditions and weather. We now play Breifne College in the last group game next week. The prize for the winner will be a meeting with Ballyjamesduff in the Cavan Schools final. Also the winner will be through to the knockout stages of the Ulster competition. 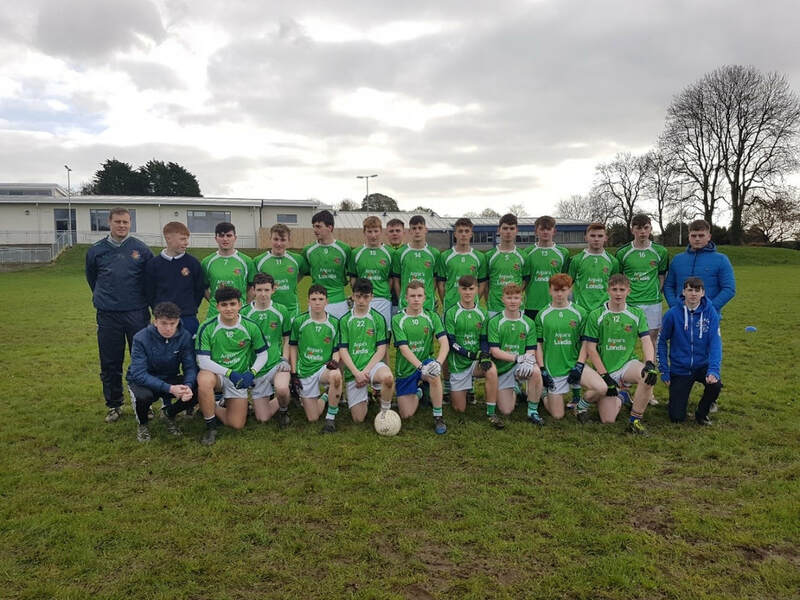 Our senior boy’s team qualified for the Cavan Schools final this week with a hard fought win over Breifne College on a score line of 3-11 to 4-11. Our lads playing with a strong breeze the first half rushed into an early lead with some great scores by Cillian mc Gahan, Adrian mc Cluskey and Ronan Brady. However, Breifne College fought their way back into the game with a goal and 4 points before half time to put three points in it at the break. We were playing against the breeze the second and we found it quite difficult to get scores. The Cavan town team deployed a big man on the edge of the square and this resulted in them scoring another 1-03 the second half. Thankfully our lads kept cool heads towards the end and a great move by our Cootehill lads lead to Kealan Smyth scoring a cracking goal at the end to give us three points breathing space. That result now mean we have qualified for the Cavan Schools final probably against Ballyjamesduff in a weeks’ time. It also means we have qualified for the knockout stage of the Danske Bank competition. We wish them every success in the games ahead.